A new roof installation consists of a whole lot more than just shingles. There are many other materials and processes that need to be considered. 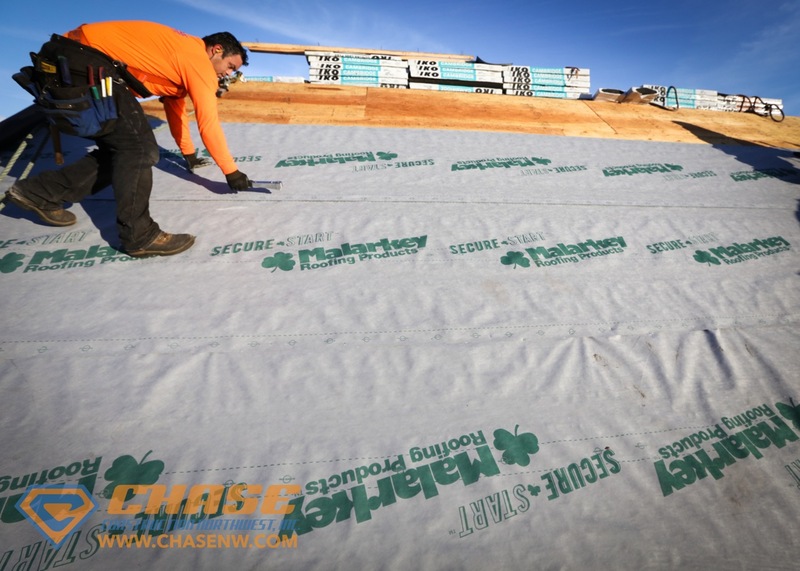 Today at Chase Construction North West Inc., we will be highlighting a vital component of a roofing system, roofing underlayment. This underlayment refers to a layer of material added between your roof deck and the shingles. There are three key roles this barrier plays. First, it acts as an additional layer, to deem your roof impervious to water. 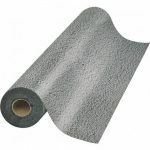 Secondly, it prevents shingles from seeping chemicals onto your roof deck and thirdly, it provides an extra layer of protection against heat and sound wave penetration. 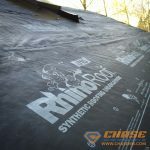 There are two common types of roofing underlayment- felt and synthetic. 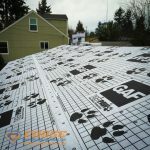 The better choice is a common topic of debate in the roofing industry but after reading the following, hopefully you will be able to take a stance of your own! 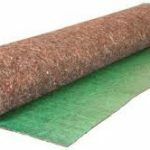 -They are lightweight and able to provide the assurance of a great water barrier while not bogging down the roof with too much extra weight. -This type of underlayment is comparatively small and easy to install. -Tends to have a longer lifetime, as the raw materials it is composed of tend to degrade at slower rates than felt. The only drawback of synthetic underlayment is the significantly higher cost when compared to felt counterparts. 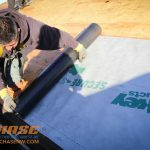 Felt underlayment is usually the go to choice for those working with budgetary constraints. It bodes well when considering the price however. Especially if you’re planning to install yourself, it is key to consider the following drawbacks of using felt over synthetic underlayment. -The material is much more labor intensive to install. Becoming a Thing of the Past! -Given its great weight and often slippery surface, it isn’t considered as safe as synthetics. -It tends to degrade more quickly than synthetic underpayment products. However, these drawbacks shouldn’t mean that you cut felt underlayment from consideration. Felt provides an excellent seepage barrier, especially when applied in thicker layers. It also offers comprehensive and excellent performance at a low price. Though it is clear that synthetics offer clear and distinctive advantages over felt, there are certain instances where felt can do a great job without breaking the bank. Here at Chase Construction North West Inc., we’d love to discuss the benefits and drawbacks of any materials you are interested in. Our team is highly trained and knowledgable and always willing to help! We value honesty and professionalism and have been in business for over 13 years. Our estimates are thorough and free and we’d love to do one for you today Puget Sound! We specialize in all types of roofing, whether residential or commercial. We provide services in King County and Pierce County, along with major cities such as Seattle, Tacoma, Puyallup, Federal Way, Renton, Auburn, Des Moines and all of the surrounding cities. If you are in need of roofing, decking, waterproofing, or skylight installation services contact Chase Construction North West Inc. today at 253-445-8950 or fill out our free estimate form!